It is September in California, year four of a scorching drought. Forest fires are blackening the arid state, from Napa Valley to the Sierra Nevada Mountains. Fly over the High Sierra and about every tenth evergreen below appears dead. Even the high mountain lakes and reservoirs are about empty – and equally void of vacationers who have few places to boat, fish, and ski, and are unsure where the next forest fire will break out and force evacuations on often one-lane winding mountain roads. 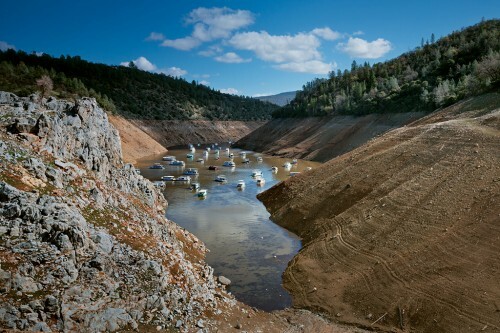 California is in the midst of a crippling four-year-old drought. Yet the state has built almost no major northern or central mountain reservoirs since the New Melones Dam of 1979. That added nearly 3 million acre-feet to the state’s storage reserves – a critical project that was almost canceled by endless environmental lawsuits and protests. 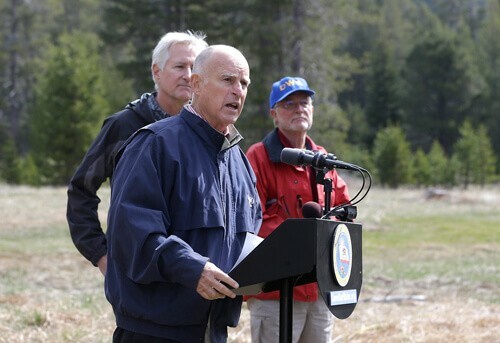 The present four-year California drought is not novel — even if President Barack Obama and California governor Jerry Brown have blamed it on man-made climate change. 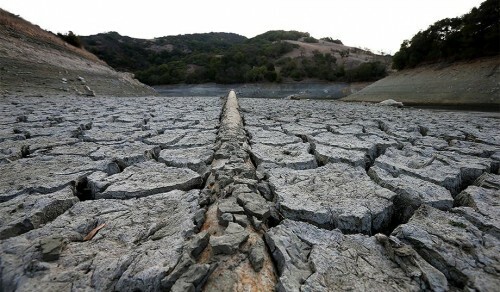 According to the National Oceanic and Atmospheric Administration, California droughts are both age-old and common. 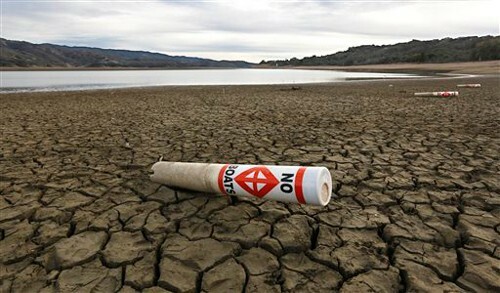 Predictable California dry spells — like those of 1929–34, 1976–77, and 1987–92 — are more likely result from poorly understood but temporary changes in atmospheric pressures and ocean temperatures. The proverbial thin veneer of civilization has never been thinner in California, as if nature has conspired to create even greater chaos than what man here has already wrought. What follows below was a fairly typical seven-day period in the land of the highest sales, fuel, and income taxes that have led to the nearly worst freeways, schools, and general infrastructure in the nation. I recently came home from an out-of-state trip. Something was wrong: I noticed off in the distance a strange geyser at the top of the hill. Vandals had apparently earlier taken sledgehammers to the pump’s four-inch plastic fittings — all to scavenge two brass valves (recycle value of about $20). California is not suffering one drought, but four. Each is a metaphor of what California has become. The first California drought, of course, is natural. We are now in the midst of a fourth year of record low levels of snow and rain. The 4th Annual Silicon Valley Rubber Duck Race in Vasona Lake Park on June 12, 2011, in Los Gatos, California. The third year of California drought has exposed all sorts of water fantasies. If in wet years they were implicit, now without rain or snow for nearly three years, they are all too explicit. Add them up. Take the Bay Area, Ground Zero of water environmentalism. 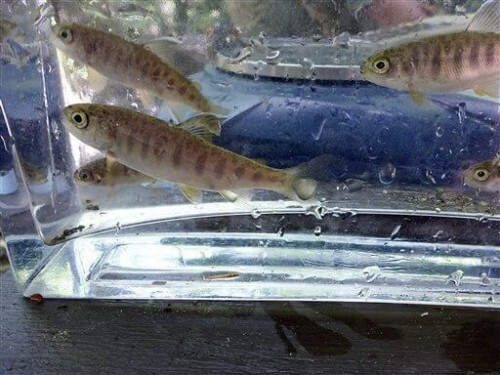 From Mill Valley to San Jose is where most of the green activists are based who have demanded, even as the snowfalls and rains ceased, that reservoir storage waters be diverted to the sea to encourage the resurgence of the delta smelt and river salmon. The Bay Area’s various earlier lobbying groups long ago helped to cancel the final phases of the California State Water Project and the Central Valley Project, and now talk about reducing world carbon emissions rather than building more storage capacity to solve California’s water crisis. 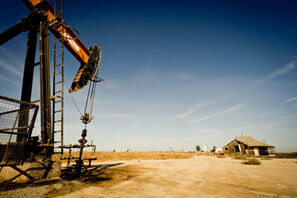 Two events now characterize the California agrarian heartland, the richest and most productive farm belt in the world. One, of course, is the third year of drought. I refer here to nature’s lack of rain and snow. But also factor in the state’s additional man-made drought, through diversions of precious stored reservoir water from agriculture and community use to environmental causes that demand more river water must flow out to the sea. 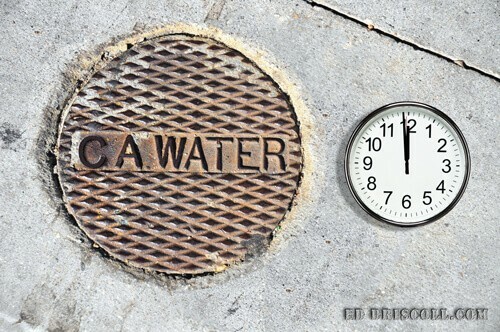 The state’s environmental fanatics over thirty years ago cancelled the critical tertiary phases of the California Water Project and the federal Central Valley Project. I guess those in the Bay Area whose lives rest on Hetch Hetchy  delivered reservoir water deemed reservoirs for all others passé and so 19th century .